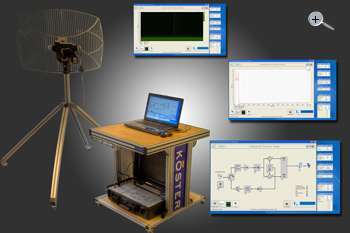 The Didactic Primary Radar (DPR) is the basic component of the Sky-Radar teaching system, conceived by Intersoft Electronics (Olen, Belgium) and Köster Systemtechnik (Iserlohn, Germany). 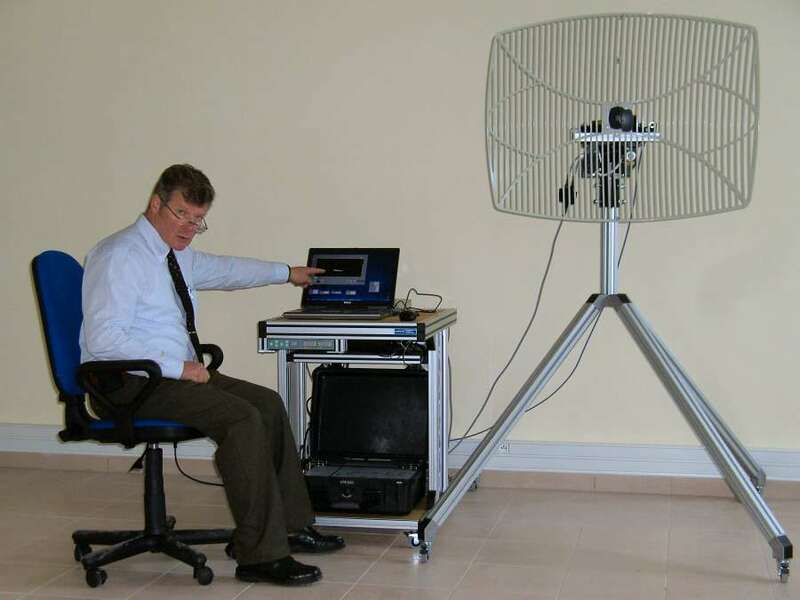 It is a fully operational radar application, which can be deployed as outdoor application, as well as directly in a classroom. 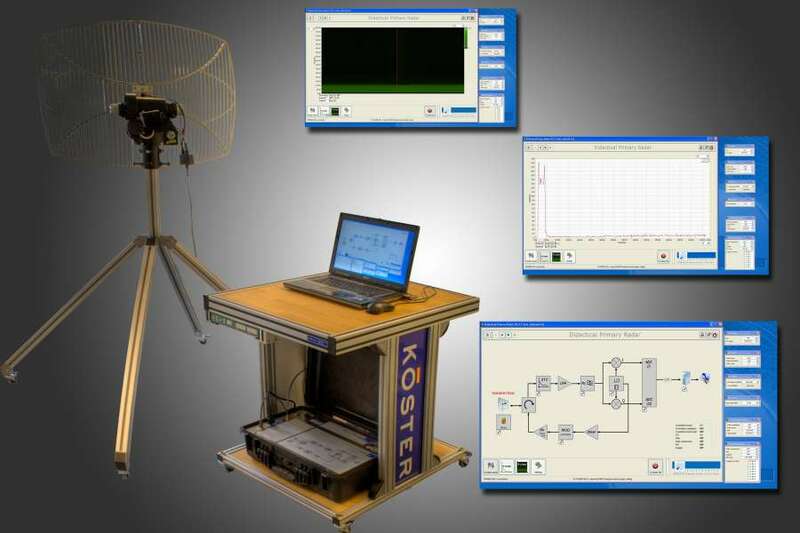 The system makes use of an open radar frequency band close to those of wireless applications. Through the use of pulse compression in conjunction with phase-coded transmitter signals, the system reaches sufficient range and signal quality for teaching and demonstration purposes, with a minimum (and for humans non dangerous) transmission power. 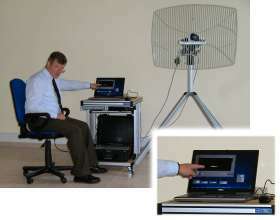 All radar functions can be controlled from a laptop or a computer network. The software allows for easy and risk-free experimentation on all radar-relevant parameters. The effects can be directly observed as A-Scope and B-Scope, visualized through a graphical user interface e.g. gradual change of the pulse width from 20 nanoseconds to half a microsecond. In parallel, the receiver bandwidth can be controlled to depict the received pulse as a clean square wave and thus demonstrating the relationship between pulse width and the necessary receiver bandwidth. 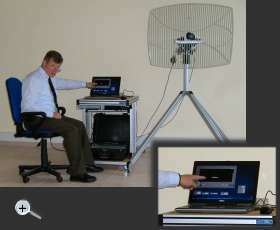 The radar antenna is moved and rotated either in manual control mode from the laptop or in a pre-configurable trajectory. The image the can be viewed and interpreted immediately in the A-Scope and the B-Scope. Even in smaller classrooms, the system can be applied, as the radar signals do not reflect but penetrate the walls. In field experiments, e.g. be set up next to a road and the traffic, the radar images (including the promenaders!) can be observed on the screen. In that context, the Doppler dilemma and the blind speeds can be demonstrated through various radial velocities; the influence of targeted modification of the pulse repetition frequency or the carrier frequency can be observed. For lessons are particularly useful the possible changes of the transmitters bandwidth, the transmitted pulse length and the different intrapulse modulation with a Barker-Code. The Doppler frequency filter can be used to either hide or prefer different radial velocities in the signal processing. The only disadvantage of this radar set is that this system didn't get a slip-ring unit in the turn table. Thus there is no way for a volume search in 360 degrees and a PPI screen can not be realized.